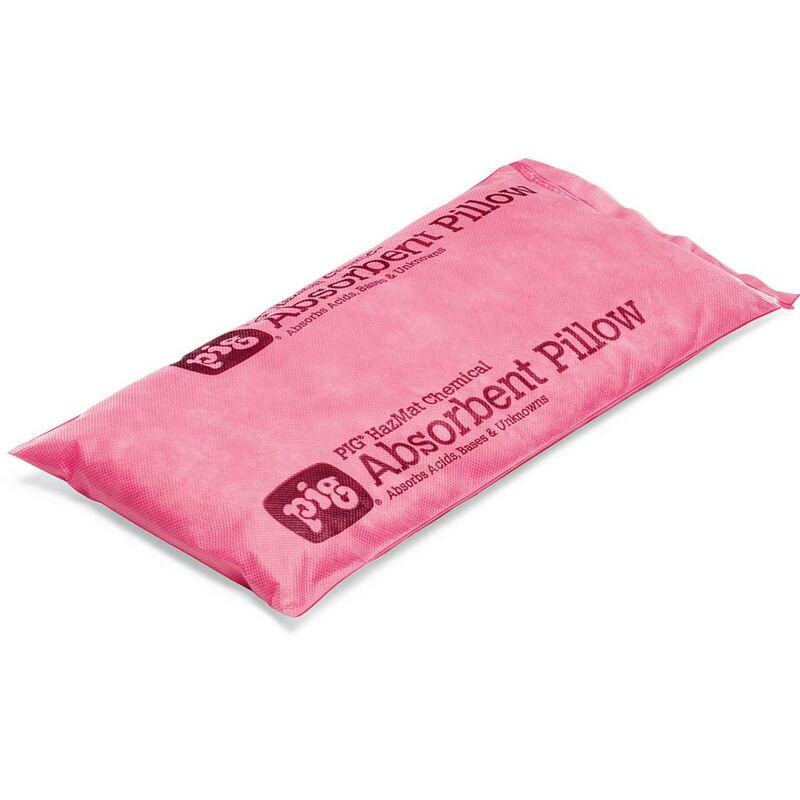 Hazardous Chemical spills are Easily Treatable The pillow allows for quick absorbance of extremely dangerous Acids & Corrosives spills, reducing the risk of devastating effects. 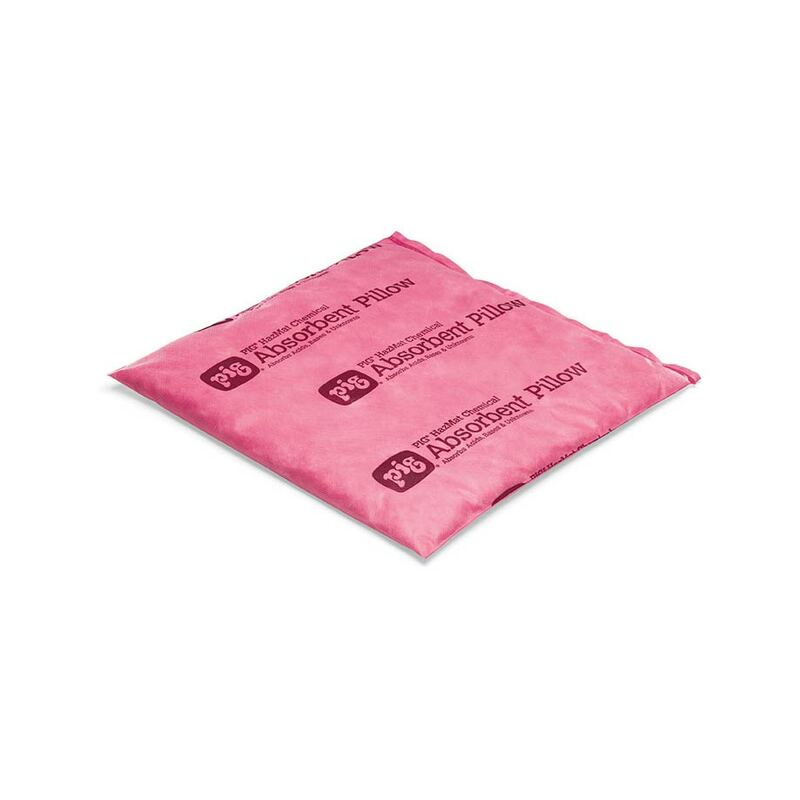 The Pillow's Filler Acts Fast Spills can be cleaned up easily due to the fast acting technology within the pillow, helping to ensure spill areas are cleaned and back to normal quickly. 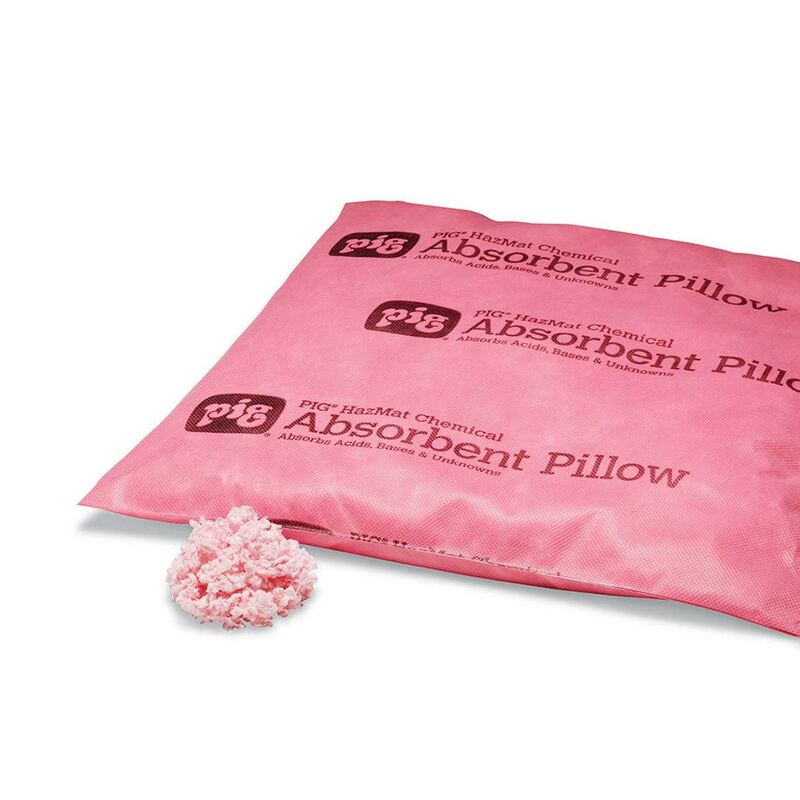 Prevention is Better Than Cure By using the pan in conjunction with these pillows it helps to keep materials in place, helping you to prevent spills from occurring before they happen. 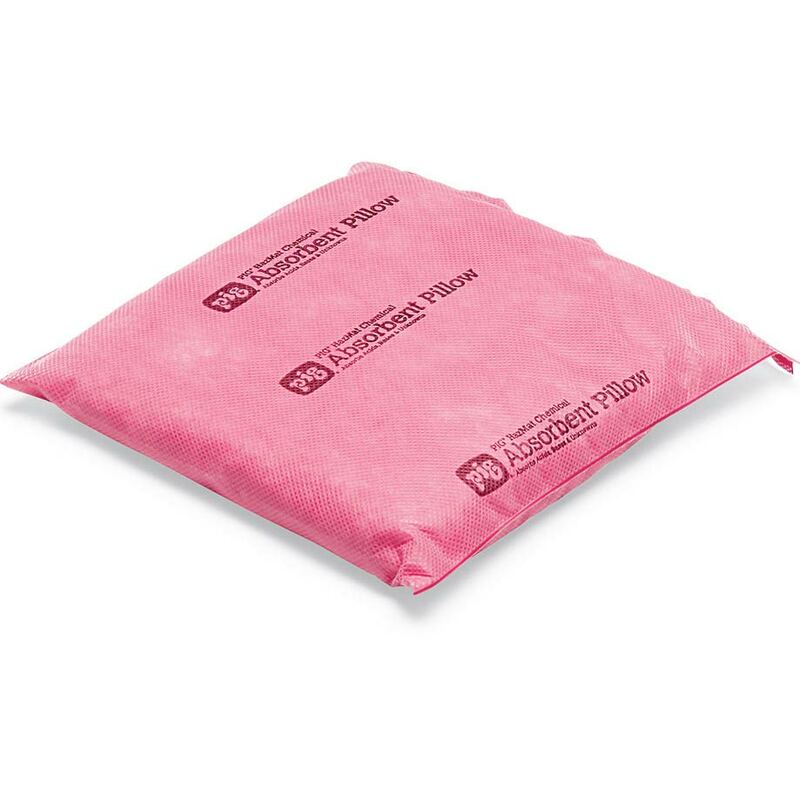 Can't Miss the Pink Pillow A high visibility pillow design allowing for safer hazardous material clean ups. 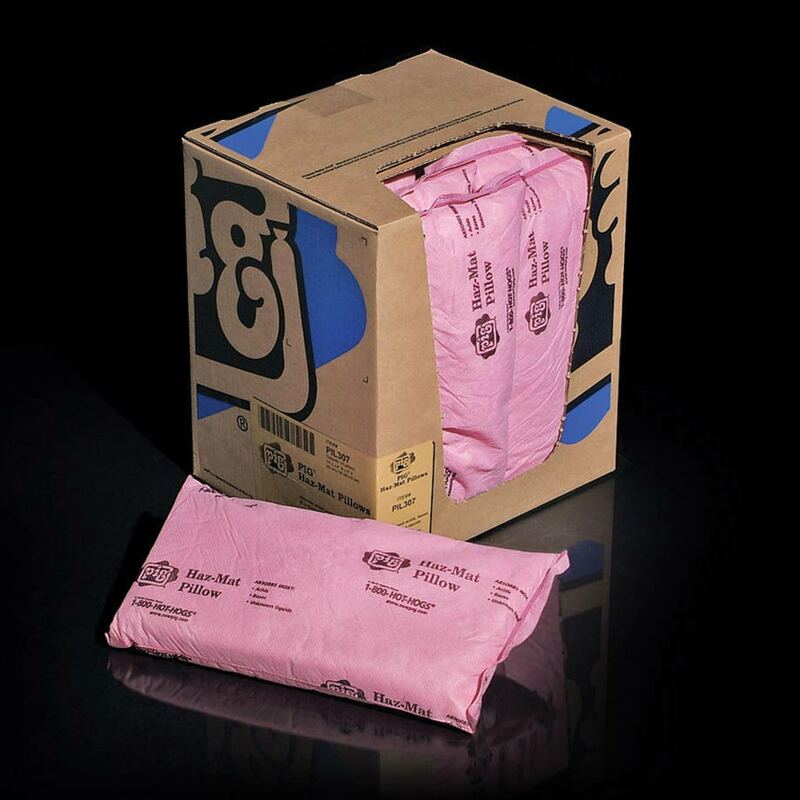 Same Day Shipping & 3hr Quote Guarantee Looking for a quick price on your absorbent or spill control products? 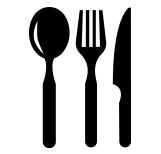 We’re here to help with our 3hr quote response guarantee (covers stocked items, received before 4pm). Once you’ve received the quote and make a purchase, trust our same day shipping to get your products out the door fast (most in-stock orders are shipped same-day if ordered before 1pm).